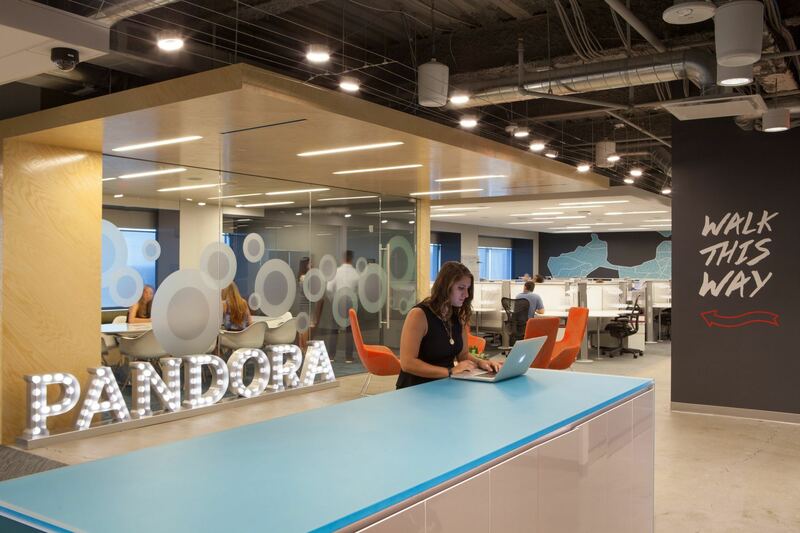 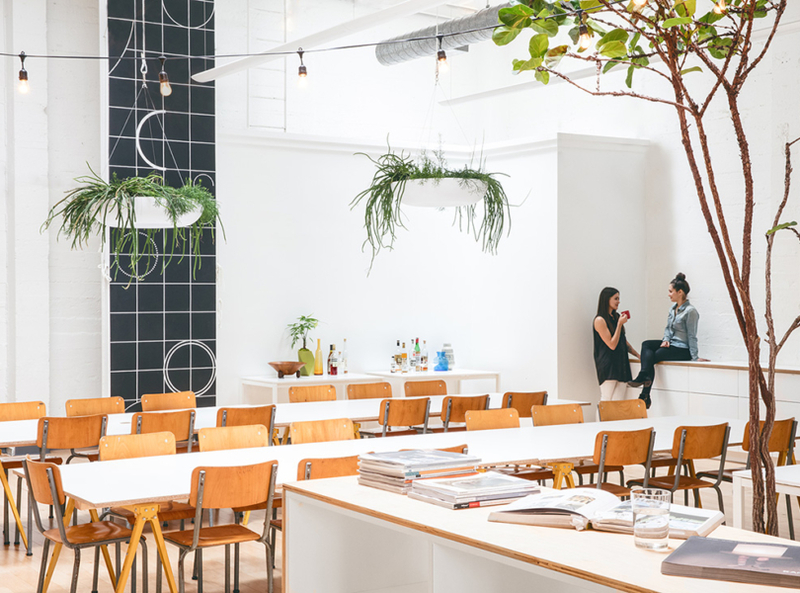 Pandora, a popular radio platform that plays music based on users’ personal taste, recently opened a new sales office in Boston, Massachusetts. 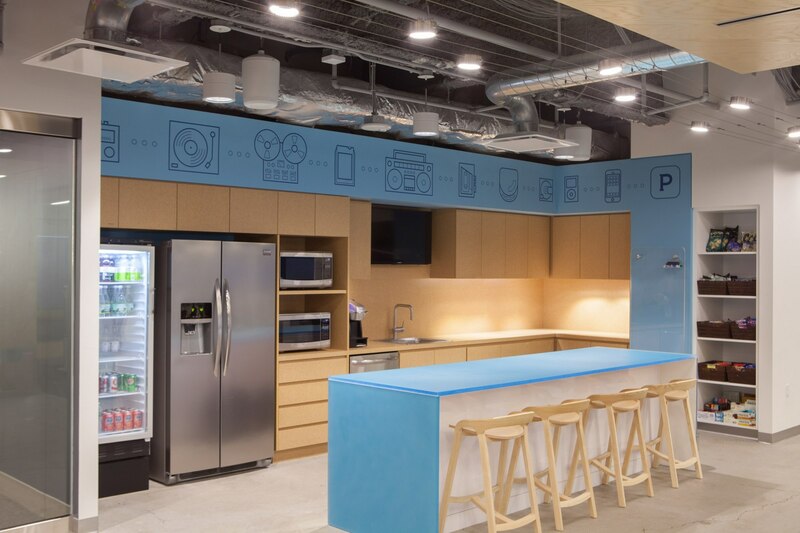 The office interior was designed by design firm Fusion Design Consultants Inc.
“Pandora Media’s new sales office in downtown Boston demonstrates our expertise in digital media workplaces. 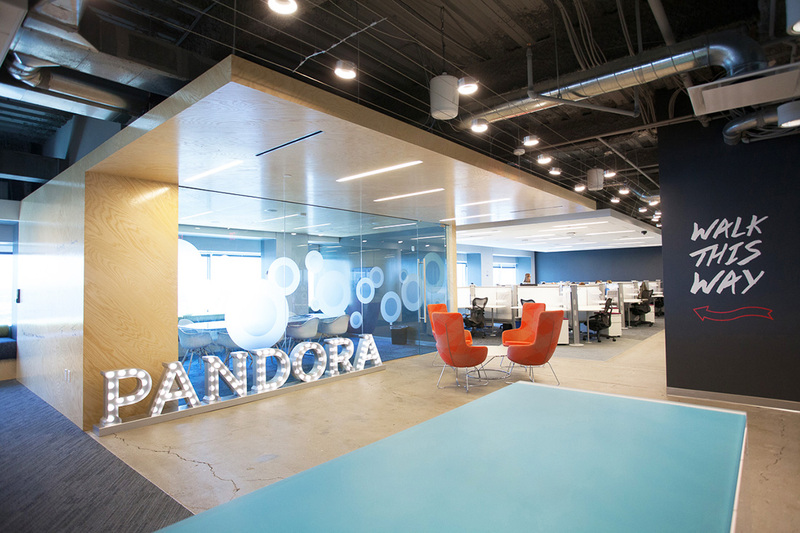 Fusion Design Consultants Inc. provided complete design services for Pandora Media’s local office, including interior design, graphic branding and furniture specifications. 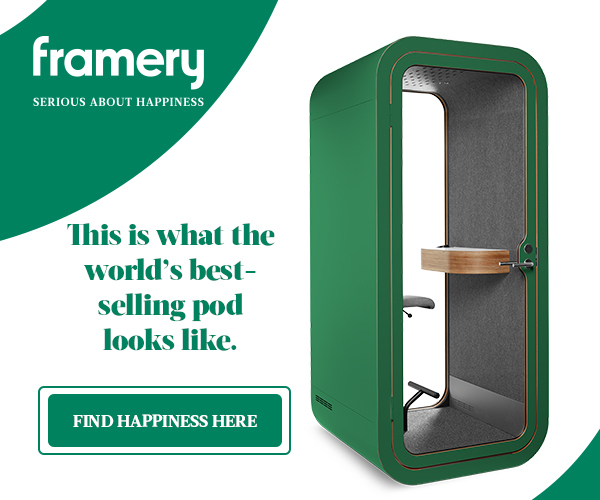 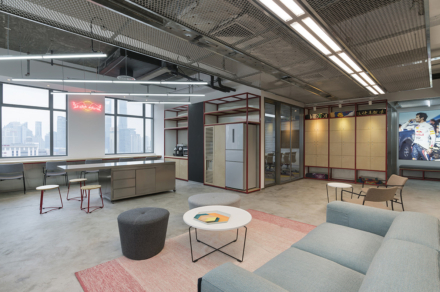 The program mainly called for open work space, with more private meeting and call rooms for employee interactions or private conversations. 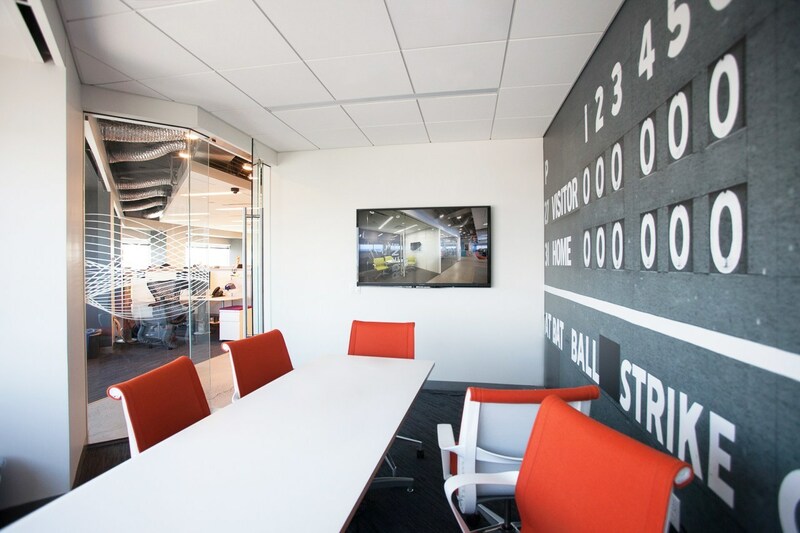 By situating all the workstations on the interior perimeter of the space we allowed natural light to fill the office and stunning views of the city to be seen. 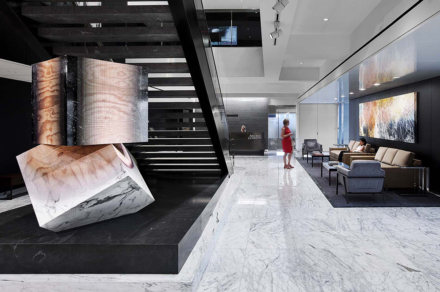 One of the design features Fusion Design Consultants Inc. created are built in window seats located around the perimeter windows. 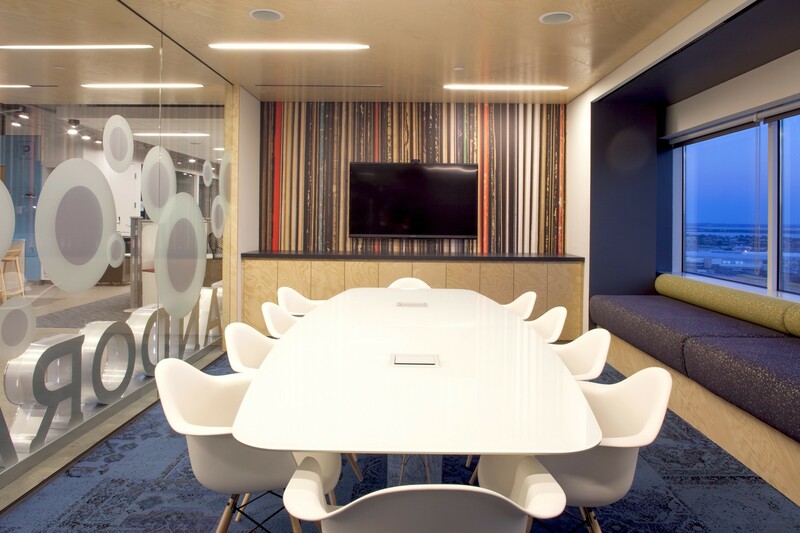 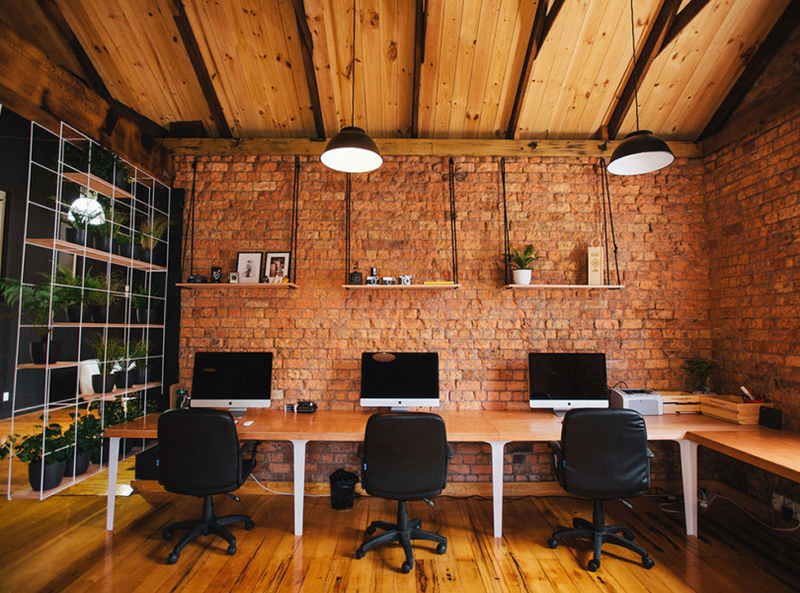 These serve as a place for employees to collaborate with their team, and even utilize the writable plywood surfaces. 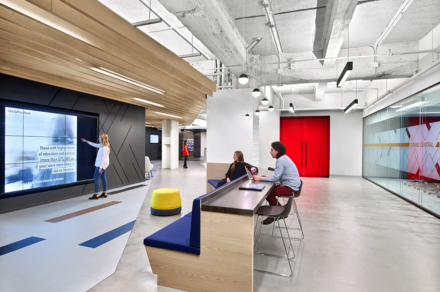 It was very important to the client to show city pride and portray concepts of music in a high-energy space designed to motivate the company’s sales team. 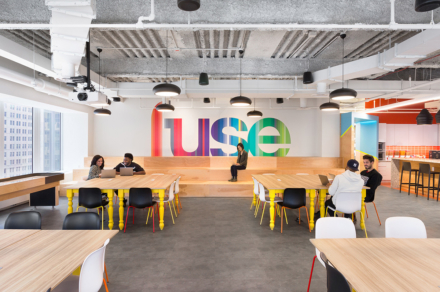 One of the ways Fusion Design Consultants Inc. conveyed Boston’s rich musical history was designing private meeting rooms, dubbed “sound studios” a nod to the music industry, that provide an escape from the music streaming throughout the open office space. 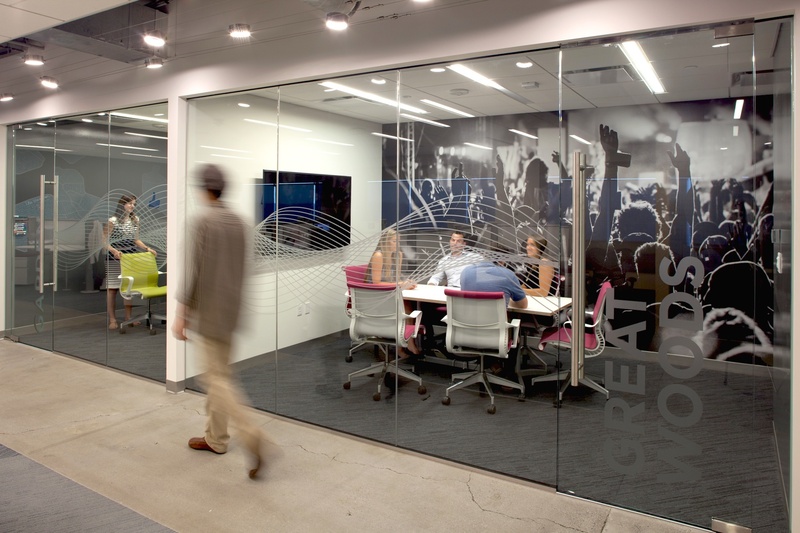 The larger meeting rooms are named after Boston music venues such as Great Woods, The Garden and Fenway and have corresponding super-graphics on the wall. 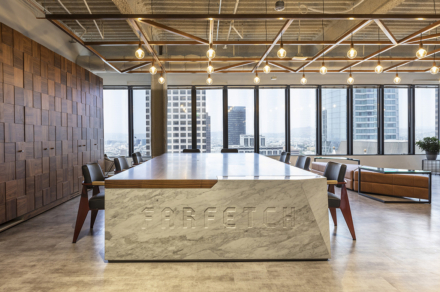 Other music themed design details include a custom light fixture that resembles guitar strings and floating musical notes. 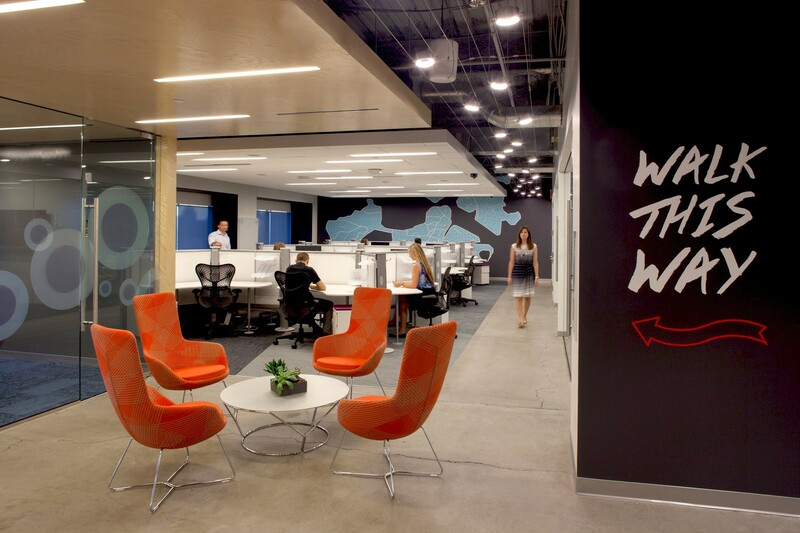 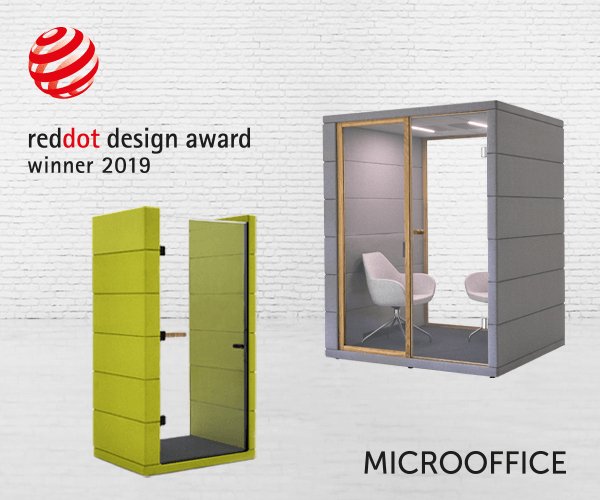 Music lyrics, super graphics, modern furniture and a contemporary color palette assimilate and compliment the firm’s corporate branding strategy”. 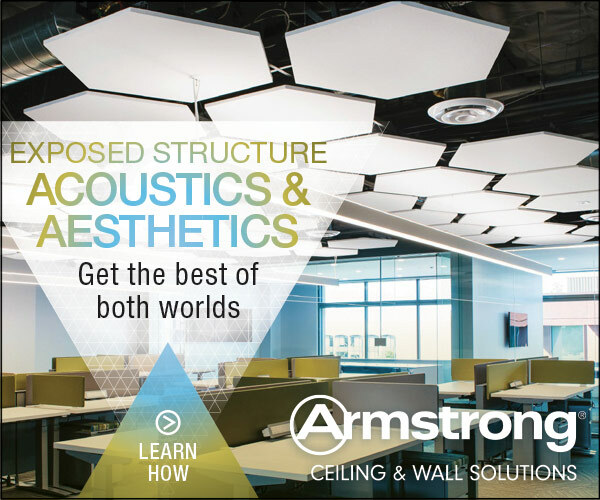 Design: Fusion Design Consultants Inc.